M. Ward performing live at the Glastonbury Festival, 27 June 2009. Matthew Stephen "M." Ward (born October 4, 1973) is a singer-songwriter and guitarist from Portland, Oregon. Ward's solo work is mixture of folk and blues-inspired Americana analog recordings, releasing eight albums since 1999, primarily through independent label Merge Records. In addition to his solo work, he is a member of pop duo She & Him and folk-rock supergroup Monsters of Folk, as well as participating in the recording, producing, and playing with multiple other artists. M. Ward was raised in Ventura County, California, and moved to Portland, Oregon after college. Growing up, Ward taught himself songs by the Beatles on his brother's guitar, and began recording demos on a four-track analog tape recorder when he was about fifteen. Ward continues to only record analog, and starts all of his songs as demos on the same recorder he has had since his teens. Ward's solo debut, Duet for Guitars #2, was released by Co-Dependent Records in 1999, then re-issued by Howe Gelb's Ow Om record label in 2000. Described by Joshua Klein of Pitchfork as "ragged and lo-fi...recorded on a shoestring and not necessarily worse for it," Duet for Guitars #2 soon went out of print for a second time, before being reissued by Merge in 2007. Ward's second album, End of Amnesia, was put out by Future Farmer Records and Loose Music (Europe) in 2001. In a retrospective review, Ryan Kearney of Pitchfork compares the album to a contemporary band, Sparklehorse, saying that "both Linkous and Ward are country- and folk-influenced artists who scratch unavoidable, but nominally disruptive marks on the traditional blueprint." Sparklehorse had released It's a Wonderful Life to critical acclaim earlier in the year. A collection of live recordings, Live Music & The Voice of Strangers, was a self-released disc that was sold at his shows in 2001. Ward released his third album, Transfiguration of Vincent, on Merge Records in 2003 to critical success. Transfiguration of Vincent received a weighted average score of 82 out of 100 by review aggregator website Metacritic, based on thirteen critical reviews, indicating "universal acclaim." The title alludes to the 1965 album The Transfiguration of Blind Joe Death by John Fahey, and refers to the life and death of Vincent O'Brien, a close friend to Ward. Fahey's pre-war style of folk music and production techniques, using basic equipment and simple arrangements, greatly influenced Ward's own sound and recording practices. Transistor Radio, Ward's fourth album, was released on Merge in 2005. The album consists of Ward's own compositions as well as three covers, The Beach Boys' "You Still Believe in Me", Carmen Lombardo's pop standard "Sweethearts on Parade", and Bach's "Well-Tempered Clavier". Transistor Radio received a score of 78 out of 100 on Metacritic, indicating "generally favorable reviews." Josh Terry of Consequence of Sound, writing of Transistor Radio in 2014, described the album as "one of the finer examples of ramshackle and intimate mid-aughts folk." A writer for Alternative Press, however, said that "Most of Ward's quiet, contemporary folk songs are mere sketches, mediocre if not unmemorable." Transistor Radio was reissued by Merge in December 2014 with four previously unreleased tracks. In August 2006, Ward released Post-War on Merge Records. Post-War was Ward's first album with a full backing band, with players including Howe Gelb, Jim James, and Neko Case. Post-War was described by Vanity Fair in its August 2006 issue as thematic on the question "How will America heal once this craziness in Iraq is over?" Ward said in that article that he looked to the post-war music of the late 1940s and 1950s. "I had the naive, simplistic idea that producers and writers and artists of the time helped in a minuscule way to change the mind-set of America." In addition to this inspired material, the album also contains a cover of Daniel Johnston's "To Go Home", which was subsequently re-released on the To Go Home EP in 2007. A critical success, Post-War received "universal acclaim" of 81 out of 100, aggregated by Metacritic and reached #146 on Billboard's Top 200. Ward spent most of 2007 touring with Norah Jones in support of the album, as well as occasionally playing in Norah's touring band, "The Handsome Band". Ward played on Jones's 2007 release Not Too Late. Hold Time, the followup to Post-War, was released on Merge in February 2009. Hold Time includes guest performances by Jason Lytle of the band Grandaddy, Lucinda Williams, Tom Hagerman of DeVotchKa, and She & Him co-contributor Zooey Deschanel. The album includes a cover of the Buddy Holly song "Rave On!" Described by Autumn De Wilde Entertainment Weekly as "[feeling] timeless, a musical wanderer's dusty, train-hopping tour through folk, blues, and country," Hold Time received an aggregated 79 out of 100 on Metacritic, for "generally favorable reviews" and reached #31 on Billboard's Top 200. After several years of touring and releasing albums with pop project She & Him and folk supergroup Monsters of Folk, Ward released his seventh studio album, A Wasteland Companion, in 2012 on Merge and Bella Union. Reaching #21 in the US charts, A Wasteland Companion received an aggregated score of 75 out of 100 on Metacritic, indicating "generally favorable reviews." Will Hermes of Rolling Stone gave the album 3.5 of 5 stars, reflective of the aggregated score, and commented that "[A Wasteland Companion] is his most vivid and varied yet, full of exquisite guitar work,...gem-like songcraft...and inspired covers." Matthew McFarland of Prefix offered the criticism, "What's missing, though, is the familiar sense of deft control over the album's arc, the lyrical intrigues, and the instrumental detail that make his other work so indispensible[sic] to the indie folk canon of last decade." In 2006, Ward was working on the soundtrack for the film The Go-Getter, co-starring actress Zooey Deschanel, when Director Martin Hynes suggested Ward and Deschanel record a duet for the movie. Ward later referred to the collaboration as "a fruitful, creative experience." 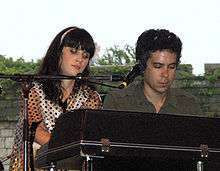 Deschanel soon sent Ward demos of songs she had written, and the two formed the pop duo She & Him to record together, with Deschanel writing the songs and Ward composing the music. The duo's first album Volume One — which Ward produced — was released on Merge Records on March 18, 2008. Volume One found critical and commercial success for Deschanel and Ward's pop music. The album reached #31 on Billboad's Top 200, and Metacritic has the critical album reviews aggregated to 76 out of 100, or "generally favorable reviews." She & Him's second album, Volume Two, was released on Merge in 2010. Volume Two peaked at #6 on Billboard's Top 200, outperforming their first release. A Very She & Him Christmas was released October 25, 2011 on Merge Records, peaking at #12. After a break, She & Him released their third album of original songs, Volume 3 in 2013 followed by a collection of standards, Classics, in 2014. Both albums also charted and were released on Merge. Monsters of Folk is a project formed by Ward, Jim James of My Morning Jacket, and Conor Oberst and Mike Mogis of Bright Eyes. The four had been touring and playing together at various points throughout the 2000s and regularly talked of making an album together. The result, the eponymous Monsters of Folk, was released in September 2009. Monsters of Folk received "generally favorable reviews" with an aggregate score of 80 out of 100 on Metacritic. Prefix's Dave Clark said of the supergroup that "The players on Monsters of Folk complement each other extremely well. There is definitely something to be said for group chemistry. These songs don’t always shine the way they could, but the album is a great effort." Monsters of Folk was a commercial success, peaking at #15 on Billboard's Top 200. He has performed on recordings by Cat Power, Neko Case, Beth Orton (with whom he co-wrote the title track to her album Comfort of Strangers), The Court & Spark, Bright Eyes (with whom he toured on the 2004 Vote for Change tour with R.E.M. and Bruce Springsteen), Jenny Lewis (whose debut solo album Rabbit Fur Coat he co-produced), and My Morning Jacket. 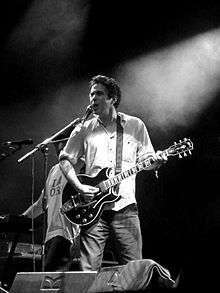 In 2005, Ward was – along with Aaron Burtch, Jason Lytle and Jim Fairchild from Grandaddy, Scout Niblett, Marie Frank or Jeremy Gara – involved in Howe Gelb's project called Arizona Amp and Alternator, which had officially no band members but a lot of guest musicians (M. Ward's voice can be recognized on the track "Aaaa(3)"). In 2006, he helped produce and contributed a song to the John Fahey tribute album I Am the Resurrection. He also appears on Norah Jones' album Not Too Late, performing backing vocals and guitar on "Sinkin' Soon", and toured as the opener and a member of her "Handsome Band" for the album in the spring of 2007. Also his cover of David Bowie's song "Let's Dance" is featured on the soundtrack of the 2007 New Zealand film Eagle vs Shark. Ward was previously a member of the band Rodriguez with Kyle Field of Little Wings and Mike Funk of Echodrone. Their album Swing Like a Metronome was released in 2000 and produced by Jason Lytle of Grandaddy. In 2013, Ward contributed guitar work to the Neko Case album The Worse Things Get, The Harder I Fight, The Harder I Fight, The More I Love You. Neko noted on her September 2, 2013 appearance on Comedy Bang! Bang! that Ward not only contributed but was "paid in full". ↑ "M. Ward: Pursuing his own Oregon trail". LA Times Blogs – Pop & Hiss. 2009-02-13. Retrieved 2016-02-24. 1 2 3 Suddath, Claire (2009-02-17). "Musician M. Ward". Time. Retrieved 2016-02-24. 1 2 "Album Review: M. Ward – Duet for Guitars #2". Prefixmag. Retrieved 2016-02-24. ↑ "M. Ward: Duet for Guitars #2". Pitchfork. Retrieved 2016-02-24. ↑ "M. Ward: End of Amnesia". Pitchfork. Retrieved 2016-02-24. ↑ "Transfiguration Of Vincent by M. Ward". Metacritic. Retrieved 2016-02-24. 1 2 Smith-Lindall, Anders. "You Die and Then You Dance: M. Ward's Strange Transfiguration". City Pages. Archived from the original on 2016-02-29. Retrieved 2016-02-24. ↑ "Transistor Radio by M. Ward". Metacritic. Retrieved 2016-02-24. 1 2 "M. Ward to reissue Transistor Radio, shares early version of "Here Comes The Sun Again" — listen". Consequence of Sound. Retrieved 2016-02-24. ↑ "Album review – Transistor Radio". Alternative Press: 126. April 2005. ↑ "Post-War by M. Ward". Metacritic. Retrieved 2016-02-24. ↑ "Hold Time | EW.com". Entertainment Weekly's EW.com. Retrieved 2016-02-24. ↑ "Hold Time by M. Ward". Metacritic. Retrieved 2016-02-24. ↑ "A Wasteland Companion by M. Ward". Metacritic. Retrieved 2016-02-25. ↑ "M. Ward A Wasteland Companion Album Review". Rolling Stone. Retrieved 2016-02-25. ↑ "Album Review: M. Ward – A Wasteland Companion". Prefixmag. Retrieved 2016-02-25. ↑ "M. Ward - More Rain". Mergerecords.com. Retrieved 2016-02-29. ↑ "M.WARD unveils new video for 'Girl From Conejo Valley' | Bella Union". Bellaunion.com. Retrieved 2016-02-29. ↑ "M. Ward announces new album, More Rain, shares "Girl From Conejo Valley" — listen". Consequence of Sound. Retrieved 2016-02-25. ↑ "When She met Him: Zooey Deschanel and M. Ward on new record". www.cbsnews.com. Retrieved 2016-02-25. 1 2 3 "She & Him - Chart history | Billboard". www.billboard.com. Retrieved 2016-02-25. ↑ "Volume One by She & Him". Metacritic. Retrieved 2016-02-25. ↑ "Don't Fake the Folk: A Q&A With Conor Oberst, Jim James, M. Ward and Mike Mogis". pastemagazine.com. Retrieved 2016-02-25. ↑ "Monsters Of Folk by Monsters Of Folk". Metacritic. Retrieved 2016-02-25. ↑ "Album Review: Monsters of Folk - Monsters of Folk". Prefixmag. Retrieved 2016-02-25. ↑ "Monsters of Folk - Chart history | Billboard". www.billboard.com. Retrieved 2016-02-25. ↑ Archived December 12, 2008, at the Wayback Machine. ↑ Archived January 12, 2010, at the Wayback Machine. ↑ "Arizona Amp and Alternator – Thrill Jockey Records". Thrilljockey.com. Retrieved 2012-01-06. ↑ "Veggie Dongs". Earwolf. Retrieved 2016-03-04. ↑ "Chart Log UK : Update 2012-04-21" (TXT). Zobbel.de. Retrieved 2016-03-04. ↑ "M. Ward Announces New Album More Rain, Shares "Girl From Conejo Valley"". Pitchfork. Wikimedia Commons has media related to M. Ward. "Why Do You Let Me Stay Here?"